Welcome to Canyon Crest!! 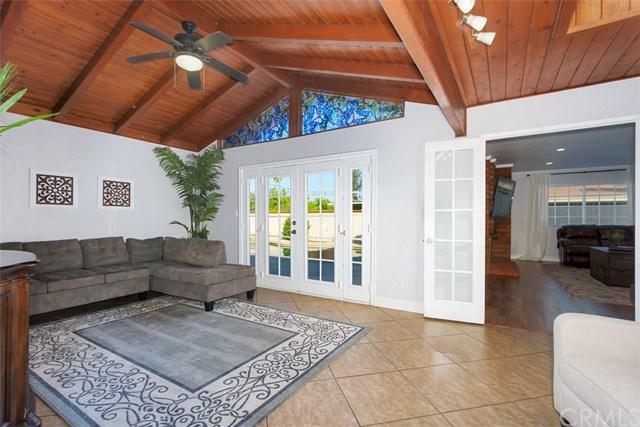 This 2000sqft+ 4 bedroom, 2 bath single story home is ready to move right in. This home has a couple additions made to the property that make the home much bigger, and boasts a unique floor plan. 2 good-sized living areas make enough room to have a formal dining room anchored with a wet bar and set up to host the greatest parties. A BRAND NEW modern kitchen makes it open to see the dining/wet bar/entertaining area. Kitchen has a lazy susan, and a customer spice rack for that once, custom touch. If you're an outdoor lover, this backyard is one to drool over. Built-in pebble tech pool and spa with a built-in BBQ and covered bar. The master is separate from the other 3 bedrooms for the utmost privacy. You don't want to miss this one! Sold by Scott Gieser of Nexthome Citrus City.